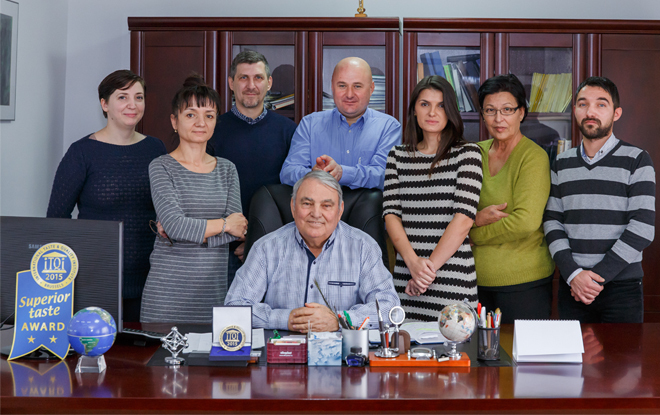 Aviputna is the story of a responsible business that has outdone itself due to the exceptional qualities of its manager, Dr. Ștefan Balaban, who has transformed his personal vision into a successful business. The imperative of well-done work had been inherited from the family. Son of General Balaban – who, after August 23, 1944, was the commander of the army that liberated Transylvania – Ștefan grew up in a house where interest in culture and patriotism shaped early the characters of the 10 children of the family. Military career, impressive by his deeds of arms, but also by personal example, his father was the supreme model he has always look up to. After graduating from the Faculty of Veterinary Medicine in Iaşi, Dr. Ştefan Balaban fulfilled all the objectives, which does not mean that he did not cross the economically and personally difficult episodes. The spring of 1991 was the crucial moment of the Aviputna farm, at that time Ștefan Balaban was the manager and he took the most important decision of his professional life: to turn his farm into a private one. It was an extremely delicate moment, because agriculture was the most vulnerable sector in Romania, ruined by a long period of co-operation. Over the past 27 years, with full respect for research in the field, Dr. Ștefan Balaban, seconded by a team of professional experts, has declared the quality of his products as the gold standard to which any technological or human effort in Aviputna Golesti farm is subordinated. In 2018 there are 50 years since the Aviputna Vrancea farm made history. For 30 years Dr. Ştefan Balaban, intelligent and outgoing, persistent and determined, able to find solutions to the problems that this sensitive area of ​​activity implies, has never violated his ethical principles in business or personal life. Through character and personality, responsibility and charism has generated an organizational culture that has shaped the very nature of this business.